It is a known fact that Nara Rohit is doing a film called Atagallu along with Jagapathi Babu in a crucial role. The shooting has been wrapped up and post-production works are in full swing. 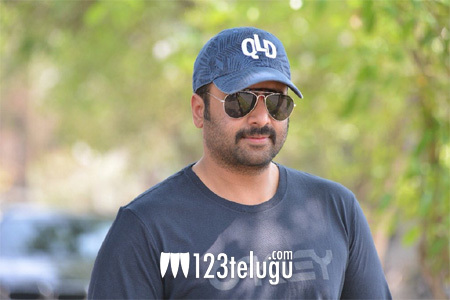 The latest we hear is that Nara Rohit began dubbing for his part today. Darshana Banik is pairing Rohith in this film directed by Paruchuri Murali. Ravindra, Vaasireddy Sivaji, Makkina Ramu and Vaddapudi Jitendra produce this film under the banner, Friends Movie Creations. The crazy combination of Nara Rohith and Jagapathi Babu is said to be a highlight of the film.